The Knott Bump & Us: Brother Max Giveaway! When you have a baby or young child in the house, one of the essential products you are going to need is a thermometer. We have realised, especially since Isla started nursery, that kids are germ sponges and seem to get ill on a weekly basis! You need to be able to quickly and effectively check what your baby's temperature is so you know whether there is significant cause for concern or not. To be honest, we have been lucky and have only had to use ours a few times but it really does put your mind at rest when you are able to get an accurate temperature from an easy to use thermometer. There is a huge variety of thermometers out there that you can buy but I'm going to tell you about the 2 in 1 Digital Thermometer from Brother Max. 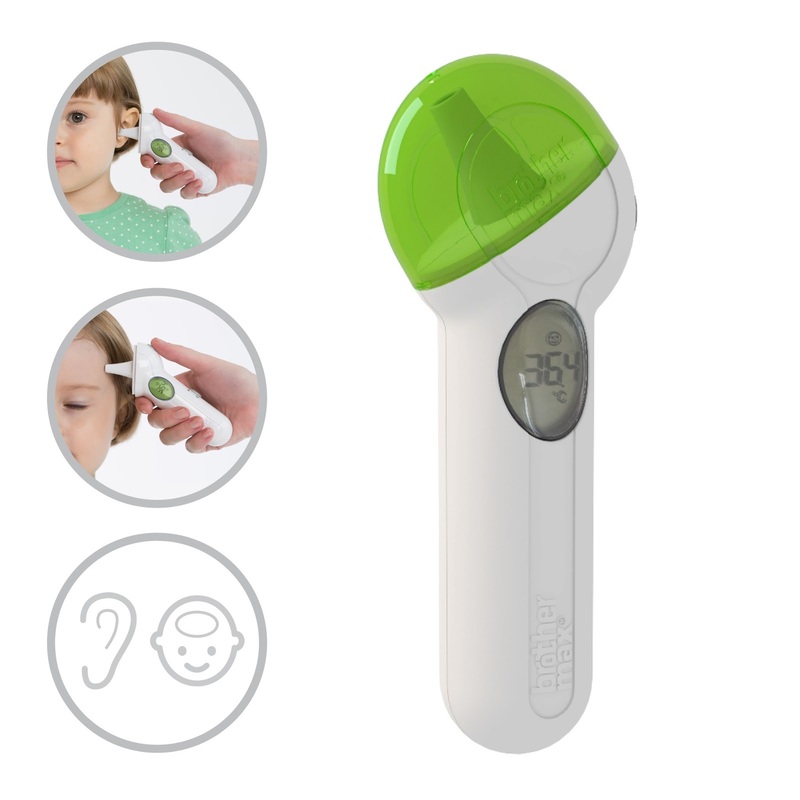 It is a multi function 2 in 1 thermometer that is actually designed for the whole family. You are able to measure ear and forehead temperatures. It provides a fast and accurate reading in 1 second to the closet 0.1º . The design is really eye catching and sleek and easy to hold and operate with 1 touch buttons and clear icons. The LCD display will display the temperature clearly. What sets it apart from some of the other thermometers on the market is that it is designed for use without the probe covers so you don't have to buy them separately. You can just wipe the probe clean. We have one to give away to one of our lucky readers. Enter below! I love the idea of a forehead thermometer and the fact this is an ear one too is great! Sometimes it's hard to get in their ears so it's good to have the option! !